How do I grow my follower base? In June 2016, Snapchat surpassed Twitter in daily usage numbers with over 150 million daily users, and daily video views increased 400% year-on-year. 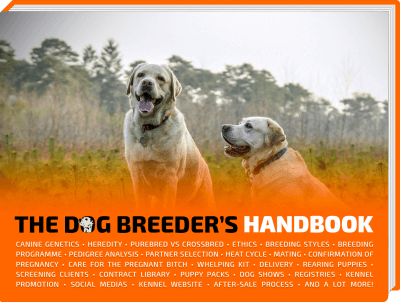 It’s a must-use social channel for most dog breeders out there. Snapchat is an innovative way to connect with people and, unlike some more time-consuming social networks like Facebook, can fit easily into your working day. Around 60% of smartphone owners use Snapchat, so there is a good chance that your prospects are already on there. If, like the bully world, you’re hoping to target the 18-25 age range, Snapchat might just be the missing ingredient for your online presence mix. 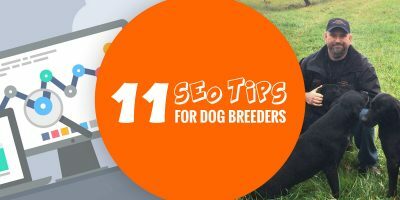 Here are just some of the ways dog breeders can use Snapchat to grow their audience, and a few tips for making it work for you. This article also goes for Instagram Stories! Unlike other social networks, Snapchat users aren’t asking their audience to like or share their posts. The sole aim is to increase your followers so more people will see your videos, so you have to adjust your approach accordingly. Snapchat is all about giving your followers a behind the scenes view of your business, and for dog breeders, this can mean anything from adorable videos of recently-born puppies to a trip to the vet for essential vaccinations. Snapchat is a spur of the moment platform, and all you need to get started is a smartphone with a decent camera. You won’t be shooting and then editing your footage, so you’ll have to become accustomed to capturing the moment as it happens and be fine with imperfect shots. It’s the whole point with Snapchat! Puppy litters are usually sold well in advance of the new owners being able to take them home, so Snapchat offers a unique way to keep people up-to-date with the progress of the mum and her puppies. 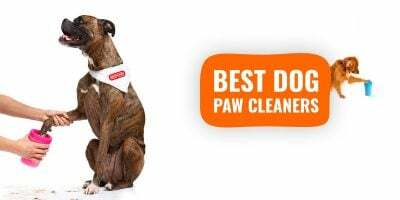 Keep the new owners in the loop by sending them short and snappy videos to help them bond with their puppy before it has even set a paw in their home. The new owners can keep track of important life events, like the first time their dog opens his eyes, goes to the vet or eats solid food. 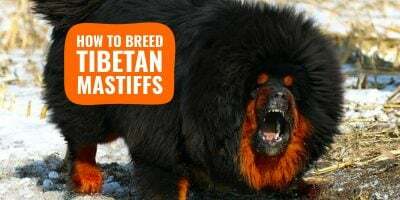 Many people are wary about buying from dog breeders because a select few give the rest a bad name. 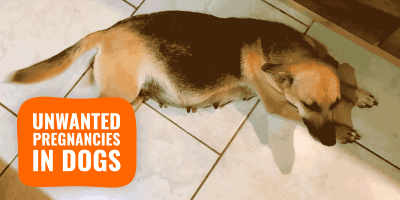 By using Snapchat to connect with your potential audience, you can help to dispel any myths about dog breeders and highlight the dangers of adopting puppies from puppy farms. 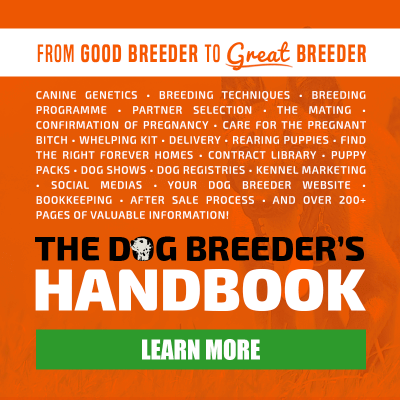 Responsible breeders will be able to demonstrate how they meet the essential steps for a dog’s well-being, such as ensuring they are socialised, vaccinated and undergo microchipping at the correct age. 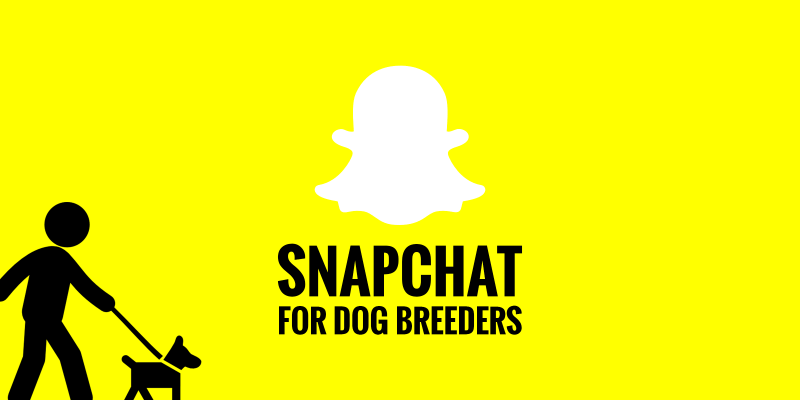 Snapchat allows you to share these important steps and offer potential adopters an insight into the inner workings of a dog breeder’s daily adventures. 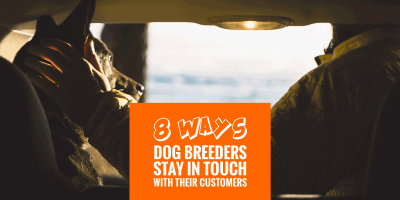 If your new homes followed their new pet’s development from whelping to weaning, then you can keep the conversation going by encouraging your customers to share their puppy’s progress with you long after they have gone home. You got it, it goes both way! This continued interaction helps to drive repeat business through referrals as you will be at the forefront of their mind, constantly. 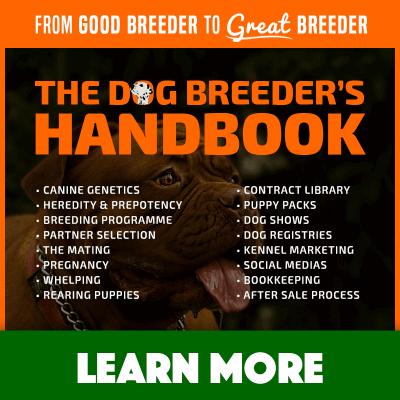 If they have friends who are looking to bring a puppy into their lives, the added perk of being able to see the dog’s development will be an attractive selling point above other dog breeders. Because let’s face it, not many dog breeders are active on Snapchat or Instagram Stories. The first step is to leverage your other social networks to let everyone know that you are on Snapchat. This doesn’t have to be a single update, as you can send reminders through your social networks, add your username to your email signature and incorporate it into your website. Follow relevant people by searching by username, snapping their Snapcodes, or using the search nearby function when you are at trade and industry events. Services and online tools like GhostCodes can help you find relevant people and brands to connect with on Snapchat. It works like a phonebook for Snapcodes, so you can search by interest or find popular users. Now, you just have to get started and post daily Snaps or daily Instagram Stories, and grow your audience week after week!